JCPenney is one of America’s most popular department stores today, with over 1,060 locations in 49 states.While JCPenney is best known for the amazing clothes that it sells, the JCP department stores are able to provide the complete shopping experience, as they include other stores such as Sephora, salons and coffee shops. Do you want to work for one of America’s most popular department stores? Then let us tell you all about the JCPenney job application process! The standard store hours for JCPenney are 10:00 A.M. to 9:00 P.M. Monday to Sunday, but there might be some differences according to the specific location of the JCPenney department store. 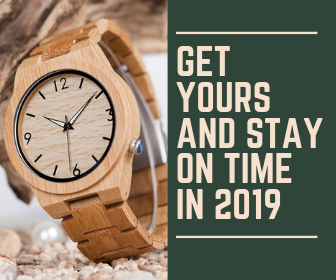 In order to make sure, you can use the Store Locator available on the JCPenney official website, that will help you find the department store that is best for you, along with the exact address, the opening hours and the stores that are included. The J.C. Penney Company’s headquarters is located at 6501 Legacy Drive, Plano, Texas, United States. If you wish to contact the store, you can find all the contact information on the JCPenney official website listed above. You can use the phone number for Customer Service to contact JCPenney in regards to any concern that you might have about their stores or their products. If you wish to contact a specific JCPenney department store, feel free to use the Store Locator to find the contact information you need. JCPenney employment is available to anyone who meets the company’s criteria, out of which the first is always the one related to age. The minimum age of employment at JCPenney is 16, because the company greatly opposes child labor. On the other hand, those older than 16 are encouraged to apply for JCPenney careers, because a youthful approach to the job is always welcome. With 1,060 department stores all across the U.S., there are plenty of opportunities for JCPenney careers at all times. 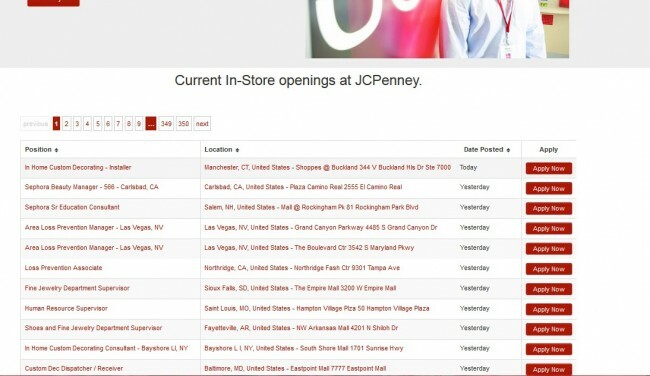 Taking the time to browse the JCPenney jobs list on jobs.jcp.com could lead you towards a JCPenny career of your own. At the moment, there are JCPenney jobs available in the In-Store Sector, the Supply Chain Sector and in the Corporate Sector. The company also operates an internship program for college students, that provides them with the opportunity of working within the JCPenney community, as part of a state of the art retail experience. JCPenney also includes an award winning military program that focuses on making use of the extraordinary skills displayed by veterans and integrating them in the retail sector. If you want to apply for a JCPenney career, all you have to do is go to jobs.jcp.com and submit your JCPenney job application. This next section will explain how to complete the JCPenney job application procedure. First, you will have to analyze the JCPenney jobs that are available at the time you are searching and choose those that are best suited for you, according to your talents and qualifications. Once you find the best JCPenney jobs for you, just click the Apply Now button next to the job title listed and then the Apply button right below the job description. 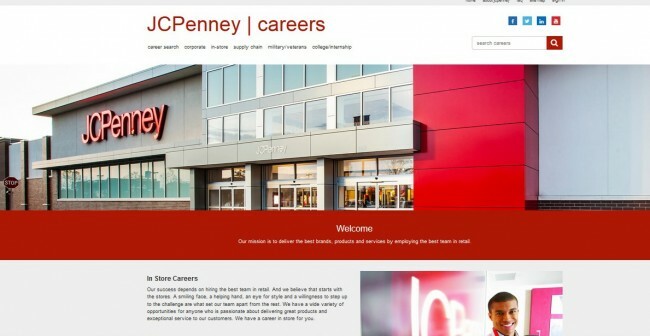 You will have to put in your e-mail address and create a personal account on the JCPenney job application portal, that you will then sign in to and you will be able to apply to all the JCPenney careers you wish. You will have to put in detailed information about your work experience and your education, so that the Human Resources specialists from the JCPenney employment office can determine whether or not you are an eligible candidate for the JCPenney job you have applied for. Please note that there is no printable JCPenney job application form that you can download, so you will have to rely on the JCPenney job application portal to apply for JCP careers. However, if you wish to submit your JCPenney job application in person, you can go to the JCP store(s) where you would like to work and ask the store manager for a Jobs and Employment form. It is a good idea to check the application status of the JCPenney job that you are inquiring about on the JCPenney job application portal before you go the store in person. At the moment, there are over 9,000 JCPenney careers available all across the U.S., so browsing the JCPenney job application portal is definitely worth your time. If you are interested in of the JCPenney jobs in the In-Store Sector, you should know that there are thousands of JCPenney careers available there. The latest offers are for Loss Prevention Associates, Temp Fine Jewelry Commission Associates, Nail Technicians and Shoe Department Supervisors. A Loss Prevention Associate is responsible for conducting the constant surveillance of the JCPenney store with the aim of identifying any attempt of fraud or theft. He/ She will use the CCTV system for the store in order to observe the customers’ activities. When he/ she suspects that a customer has attempted to steal something, he/ she will proceed to detain that person and conduct an investigation that will reveal whether or not that person has stolen JCPenney merchandise. Loss Prevention Associates need to establish relationships with the law enforcement officers, because they will have to get involved in the following steps of the investigation of shoplifters. This entails that they will present at formal hearings in these cases. The base salary for this JCPenney job starts out at an hourly rate of $9.00 and can get as high as $14.00, as the employee earns more experience with the company. There is also an attractive bonus pack for this JCPenney job, meant to reward dedicated employees and outstanding performances. There are over one hundred JCPenney career opportunities in the Supply Chain Sector at the moment. The highest demand is for Warehouse Workers, Security/ Loss Prevention Associates and Customer Care Representatives. This is one of the entry-level JCPenney jobs and it entails manual labor, as well as inventory and processing tasks. The main responsibilities include the preparation of JCPenney cartons and then, the inspection of the cartons, in order to make sure that they are properly packed. The preparation process includes adding the appropriate labels to the cartons, packing and scanning the cartons accordingly, sorting the cartons as indicated and logging the correct data in the inventory systems, as well as loading and unloading cartons as indicated. The Warehouse Associates will also handle all the transportations of the cartons, as indicated by superiors, either manually or by using specialized tools. As this is one of the entry-level JCPenney jobs, the salary is likely to start out at the legal minimum wage of the state, especially if the employee does not have extensive experience in this line of work. However, if the employee proves to be dedicated and valuable to the company, he/ she can get to earn as much as $20,000 a year. Currently, there are more than 100 JCPenney jobs available in the Corporate Department and they include positions like Application Architect, Associate Buyer, Recruiting Coordinator, iOS Software Engineer, Cloud Architect and Customer Support Analys. According to the JCPenney careers portal, there are 209 available positions in management in all the company’s departments. According to the posting date of the employment add, the most recent requests are for Operations Manager, Sales Manager Trainee, General Manager, New Business Development Sr Manager, Planning Manager and HR Manager. The Operations Managers is one of the top JCPenney careers as it entails the supervision and coordination of all the operations of a JCPenney store, with the ultimate objectives of providing the best possible experience for the customer that will insure his/her return, as well as achieving the store’s financial goals . The Operations Manager is the leader of the JCPenney store team and as such, he/ she will need to lead by example and provide the necessary training, guidance and motivation for his/ her employees. He/ She will observe the performance of each employee and will work alongside Talent Resource Leaders to identify the employees who have earned a promotion within the company. He/ She will instruct the team to put into practice the assigned merchandising and display operations, so as to meet the visual standards of the company. As the Operations Manager of the JCPenney store, he/she will conduct all the scheduling and he/ she will be in charge of allocating the store’s resources so as to maximize overall earnings. The initial salary for this JCPenney career is $41,000 annually, but the base salary can get as high as $75,000, according to the overall performance of the employee. The average base salary for this position is $59,700. However, JCPenney policy dictates that all outstanding performances are rewarded accordingly and as such, there is a bonus pack that is added to the base salary, that can increase the total salary to as much as $109,000 annually. We highly recommend you apply through the JCPenney careers portal. This will allow you to create an online account. With this account, you can monitor the status of your application. You have to be extremely careful as you fill in the required fields of the online job application form, so that you supply complete information about yourself, your qualifications as well as your work experience. Remember that you can also go to JCPenney stores in person and request a JCPenney job application form from the hiring staff, which might prove to be helpful in establishing your commitment level to the company. Since you have two application methods available, you should try to make the best out of this situation by combining them. You can use the JCPenney job application portal to identify the stores that have available positions and after you submit your online application, you can find the address of the JCPenney store where the job is located and go there to apply in person as well. This way, you can essentially help yourself to be in the right place at the right time. Taking the time to submit a JCPenney job application in person will prove to the company that you are committed and interested in the position and it is bound to increase your chances of being considered for an interview, provided that you have right the required qualifications and experience for the JCPenney job. Also, always make sure that your application is free of spelling and grammar errors and that you have put in the correct information. While an error free job application will not necessarily make you stand out, one that has such mistakes will be regarded as pertaining to somebody who lacks interest in the position. Therefore, this is a situation you can easily avoid with only a few minutes’ work. The core benefit pack at JCPenney is meant to accommodate all the employees’ needs and provide a carefree environment outside of wok hours. The main benefits provided by the company include medical, dental and vision plans, basic life insurance that can be supplemented to fit the needs of the employee, the 401 (k) retirement plan, maternity and paternity leave, medical leave, unpaid extended leave, employee discount offers and job training programs. There are special benefits and amenities available for each JCPenney Department, so that every employee can be accommodated as best as possible and inspired to give his/ her best possible performance. The amenities for the Corporate Department include a Walgreens Pharmacy, a Cafeteria, a 24/7 supermarket, a coffee shop, a Subway deli, a generous fitness center with free entrance for JCPenney employees, covered parking, an on-site clinic and on-site childcare. As soon as you submit your JCPenney job application online via the JCPenney careers portal, your application will be sent for review to JCPenney HR. The HR specialists will analyze your application individually and assess whether or not you are an eligible candidate for the JCPenney job you have applied for. Then, your application will be cross-analyzed with the rest of the applications submitted for the same position, so that the best suited candidates are selected for the second phase of the JCPenney hiring process. This is the JCPenney interview. The HR Department will then let you know whether or not you have been selected for the interview. If your response is positive, then you will be scheduled for an interview with the Hiring Manager of the Department you are applying for. While the hiring process for entry-level positions only requires one interview with the store/ department manager, the rest of the JCPenney jobs might entail several interviews, because the selection process is more complex. The most important aspect that you need to be aware of when preparing for the interview is that the better first impression you make, the higher you chances of employment are. This means that you will have to prepare for the interview as best as possible. This means that you will have to make a thorough research on the JCPenney brand and their core values. Visiting one or even several JCPenney stores in the process will provide you with the ability of providing accurate examples of company-related items and patterns. You also need to go through your resume one more time and focus on your strong and weak points. Try to think of various ways of highlighting your achievement and fortes and of putting a positive spin on your less impressive traits and accomplishments. A useful way of doing so is pointing out how you are planning/ have managed to overcome an impediment in your career and how you plan to improve your abilities. Lastly, you will have to work on your look, because this is extremely important to the interview process, regardless of the position you are applying for. Your goal is to match your look to how you envision yourself in your chosen career. Always choose a neat look and pay special attention to hygiene and small details, such as having tidy looking nails. A business-casual or business-formal look is appropriate for the job interview, in accordance to the position you are applying for. While choosing a overly casual attire might be inappropriate for high-end positions, opting for overly formal outfits for entry level JCPenney job interviews is a mistake as well. I cannot get past the 4th screen to apply for a job. 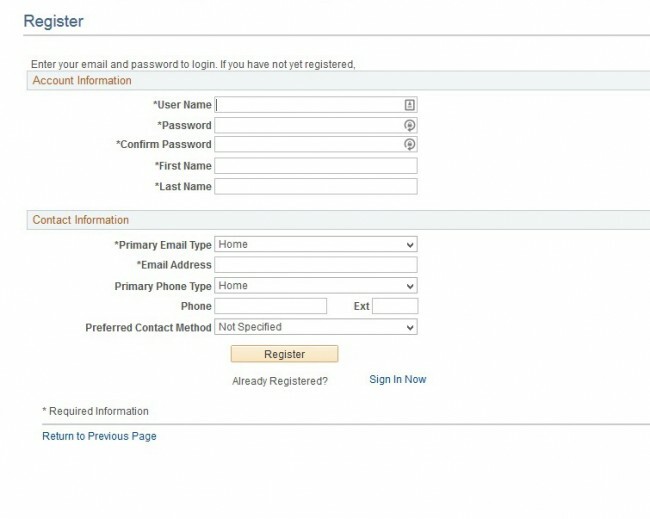 I am already logged in but the system tells me to create an account or sign in? Is there technical assistance person who could help me ? ?